Because the world throws a lot at you, including tons of gross toxins, Milk Makeup strives to be clean. What does that mean? We leave the bad stuff out of our products. You will never see ingredients like parabens, sulfates, SLS, SLES, formaldehyde, mineral oil, or talc in our line. These ingredients are questionable for your health and have no place on your face. Instead, you’ll notice that we formulate with nourishing alternatives like watermelon extract and mango butter. Being clean also means that we’re always on the lookout for innovative, good-for-you ingredients that still deliver in the payoff department. Our guarantee? Makeup and skincare that work hard and play harder. 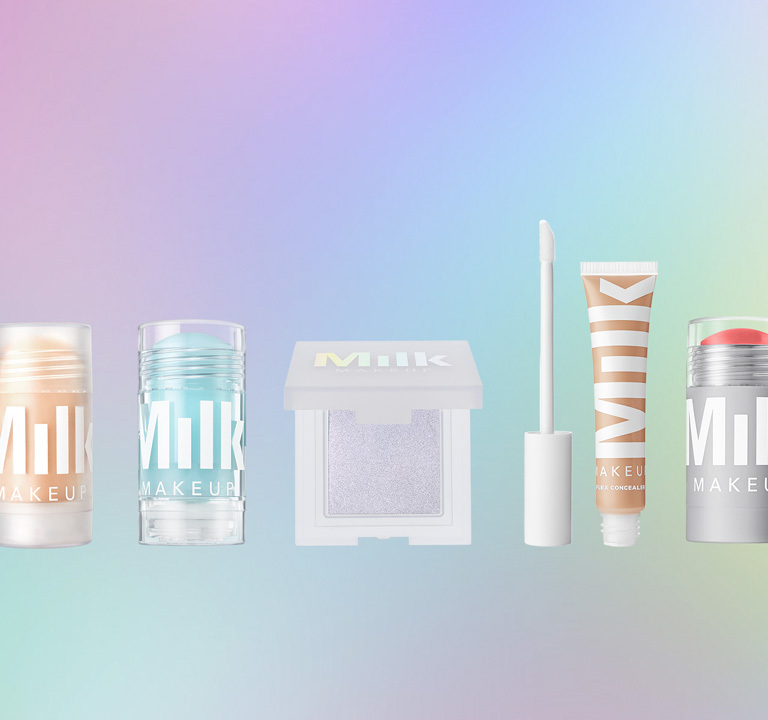 “When we started Milk Makeup, we all had young kids, which makes you hyper-aware of all the toxicity in the world. We wanted to use healthy ingredients that we felt great about, especially if our kids got their hands on the products,” says our Co-founder and Creative Director Georgie Greville, on how the founders, COO Dianna Ruth and Co-founder Zanna Roberts Rassi, established the brand’s guidelines. We’ve been running with that goal ever since, and constantly streamline our ingredient list to reflect this philosophy. ‘Cause that’s the way it should be. We’re also 100% vegan. This is important to us because using animal byproducts is an unnecessary practice. “There is no animal product or byproduct that doesn’t have a safe natural or synthetic alternative,” explains Dianna. We’ve also been cruelty-free since day one. Great beauty products that don’t harm animals — totally our jam. Wanna know more about vegan beauty? Check it out, here. No: Sulfates, formaldehyde. mineral oil, talc + more. You Wanted a Moon Tat Stamp? It’s Here!